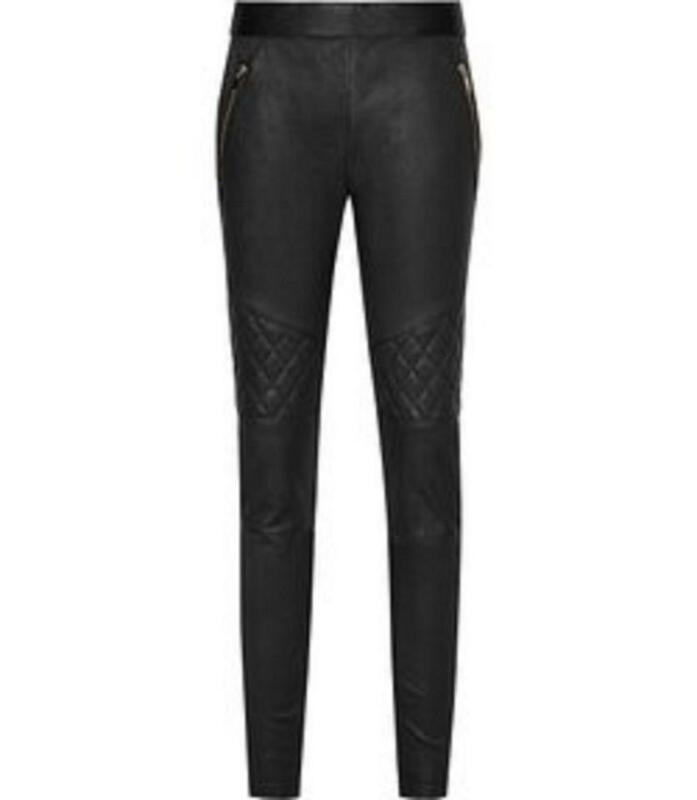 Brand new Reiss Leather Trousers with tags. Color black. Retail $1120. Size UK 4/US 0. 100% authentic. Composition- 100% lamb leather. Lining composition- Backing: 98% cotton 2% elastane. inseam approximately 26.5 inches. Overall amazing leather trousers that are super comfortable and look amazing with almost any outfit.